Chesterfield have agreed a deal to sign striker Gozie Ugwu on a two-year contract, subject to a medical. He scored 17 goals in 43 league games for Woking in 2016-17 but was a free agent after leaving the National League side at the end of the season. Ugwu, 24, told the club website: "There was interest from other clubs as well but Chesterfield stood out." Manager Gary Caldwell added: "I have been very impressed with his physical attributes and ability to score goals." 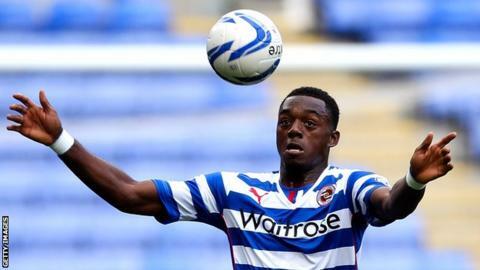 Ugwu, who came through the youth ranks at Reading, has also played for Yeovil, Plymouth, Shrewsbury, Dunfermline and Wycombe. Caldwell, who will lead the relegated side in League Two next season, added: "It's a big challenge for him now, but he's played in the Football League before so he understands what it takes to succeed. He is someone I can see making a real impact."